Tim Hortons has a new promotion! 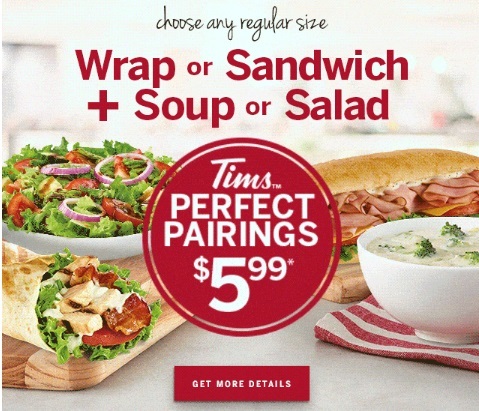 Choose any regular size wrap or sandwich and soup or salad for only $5.99! The combinations are endless! Offer available for a limited time at participating locations. Excludes chili.